With a stay at Zuoling Youli Hotel in Guangzhou (Tianhe), you'll be within a 10-minute drive of CITIC Plaza and Guangzhou Zoo. A roundtrip airport shuttle is provided at no charge. 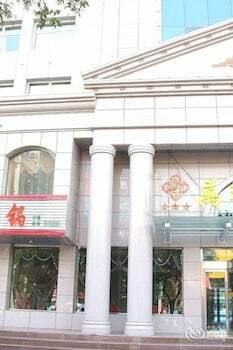 With a stay at Dongsi Hotel in Beijing (Dongcheng), you'll be within a 10-minute drive of Forbidden City and Tiananmen Square. Free self parking is available onsite.